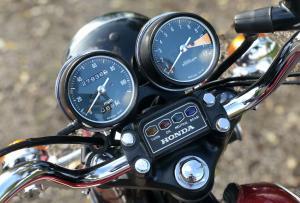 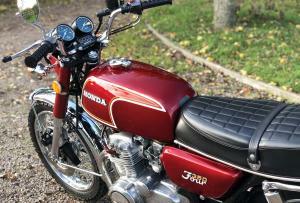 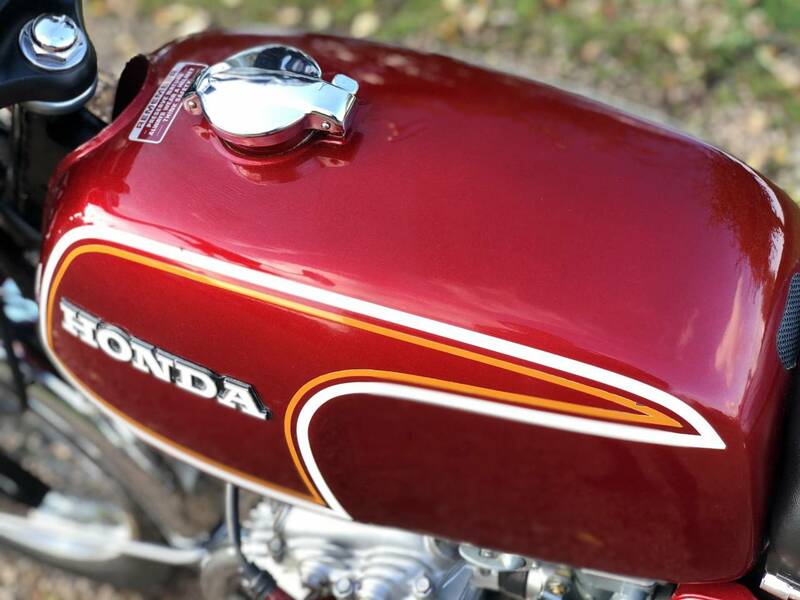 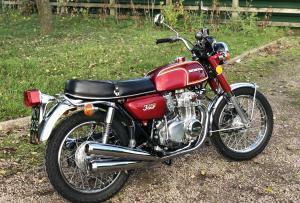 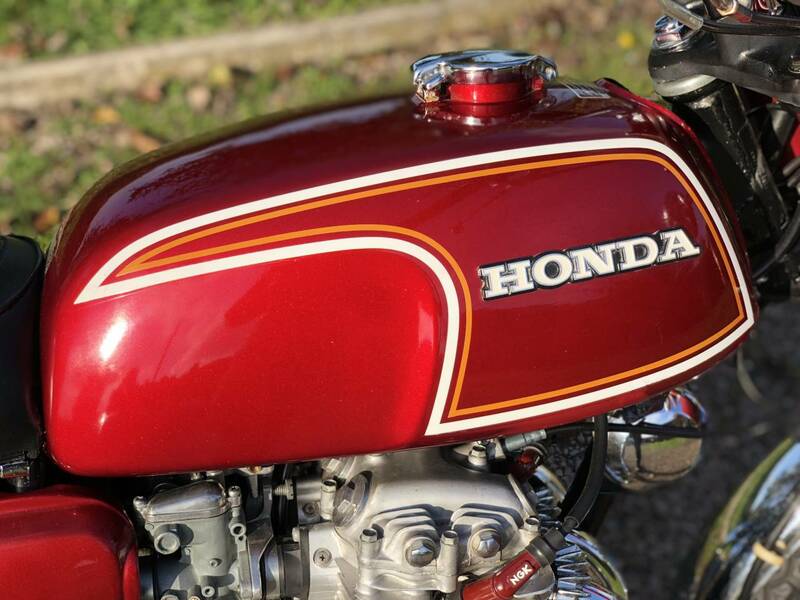 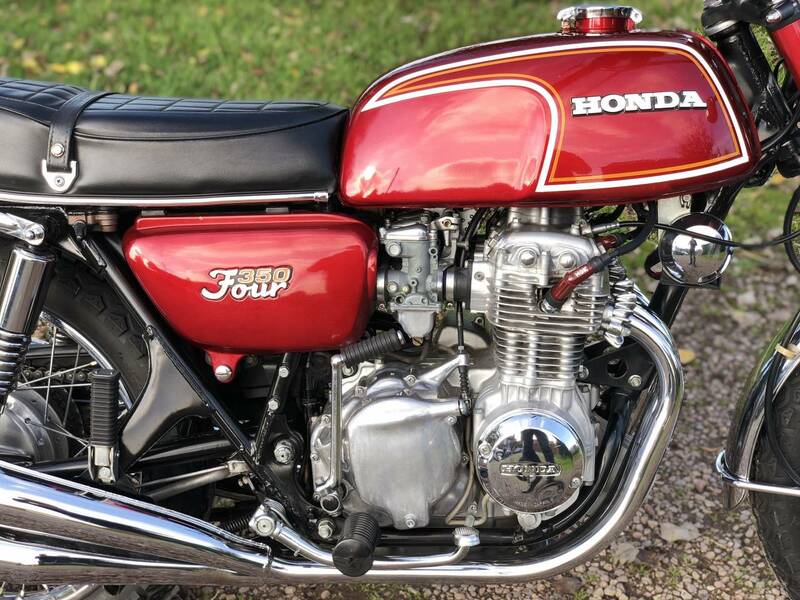 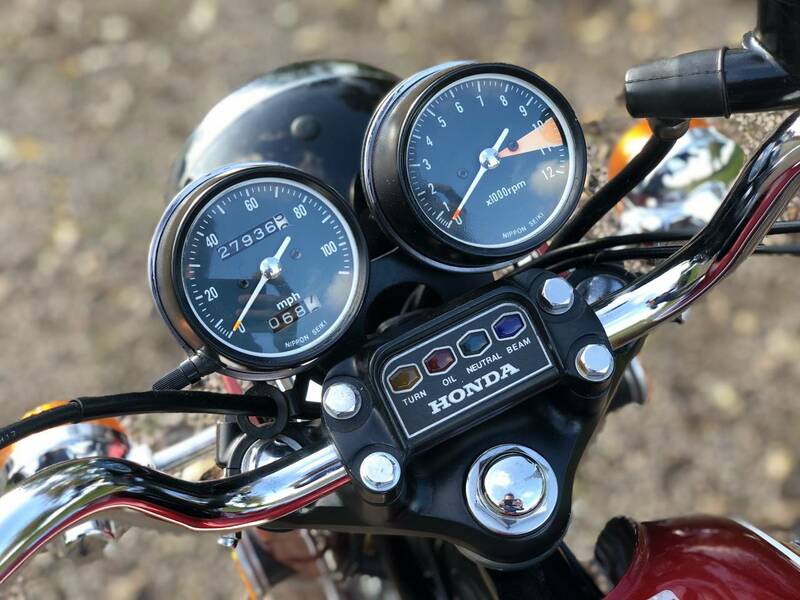 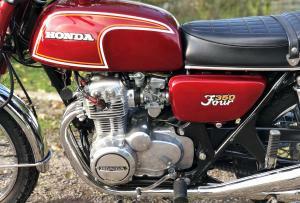 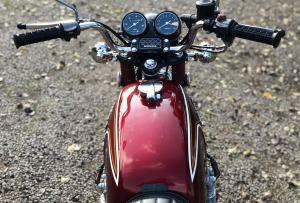 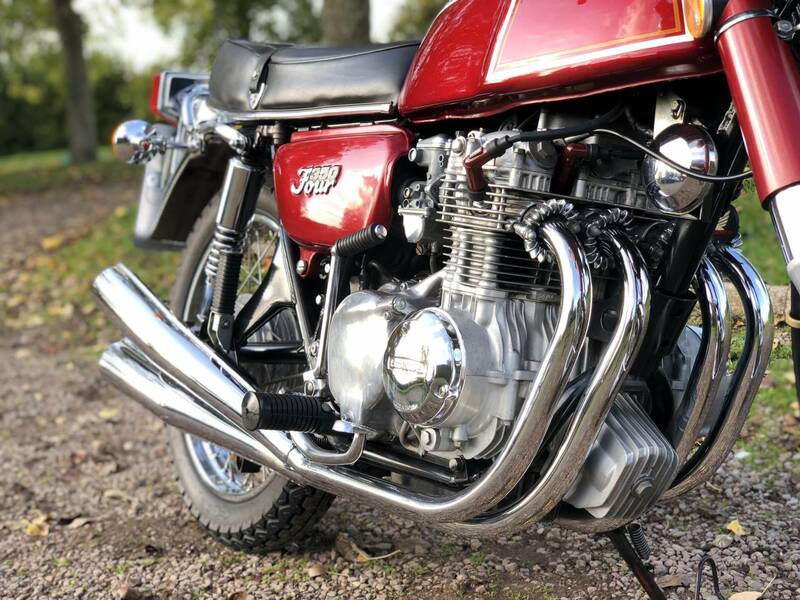 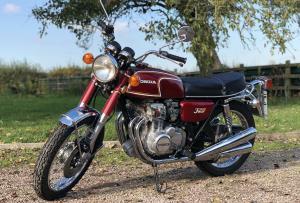 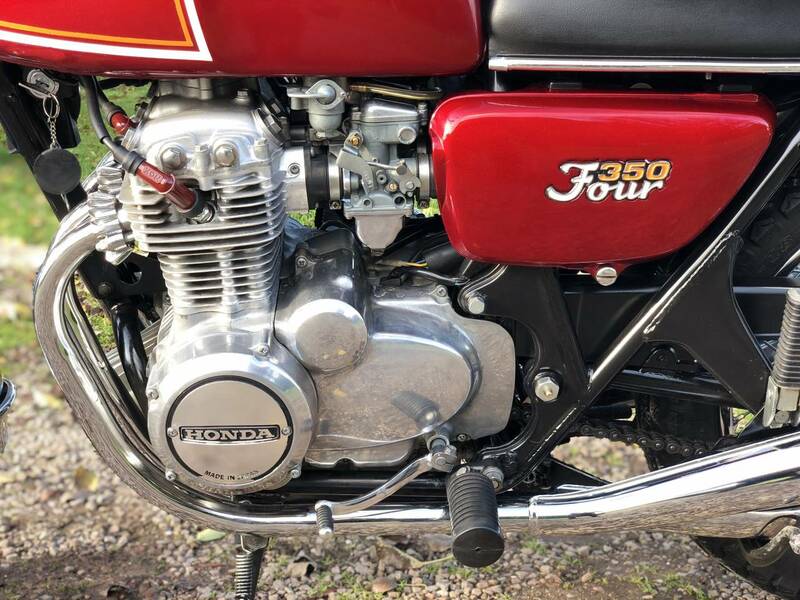 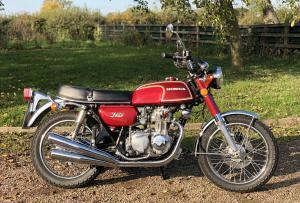 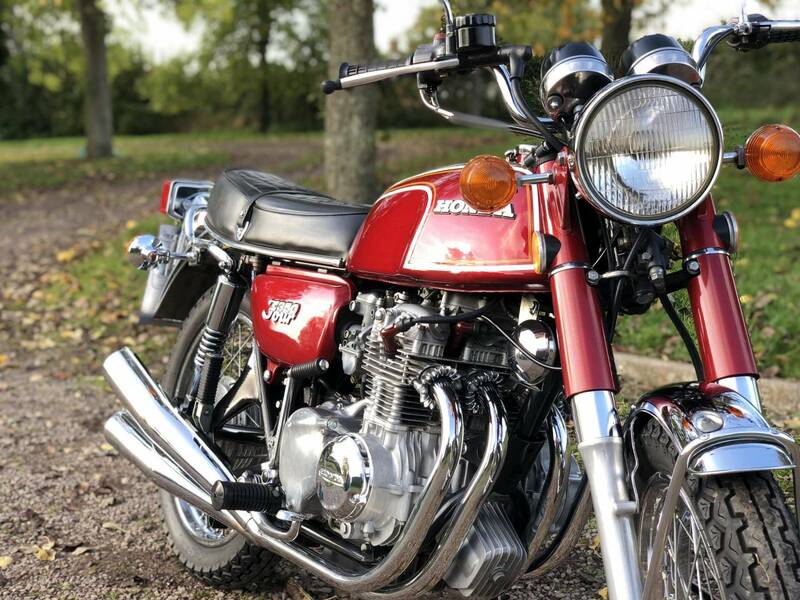 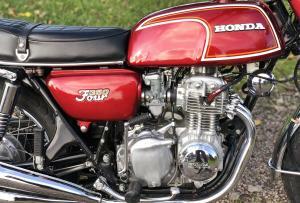 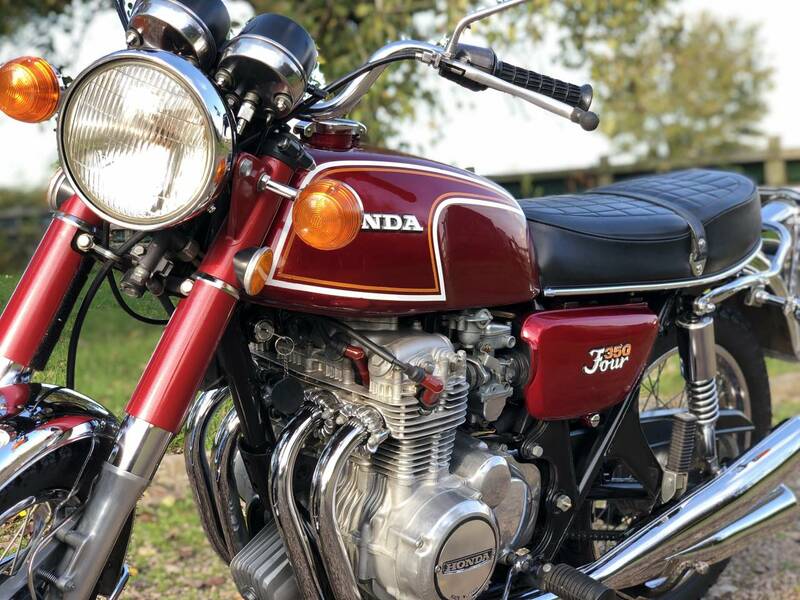 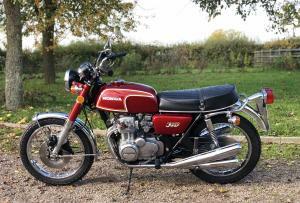 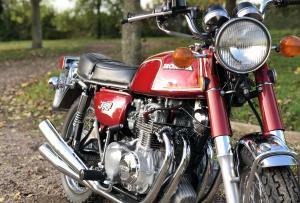 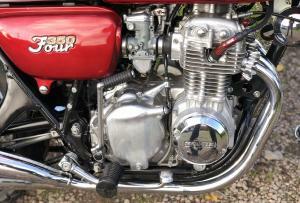 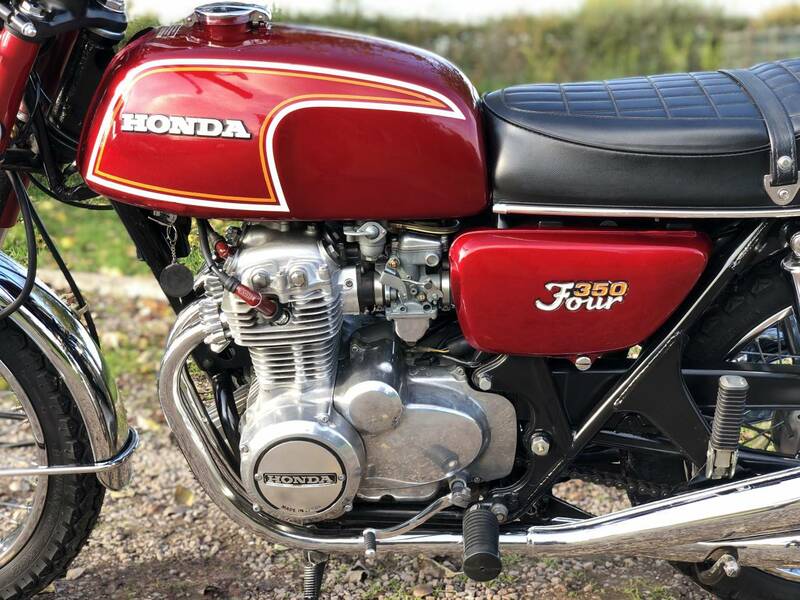 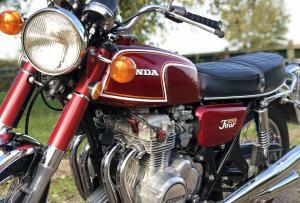 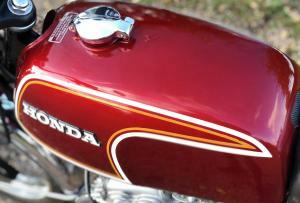 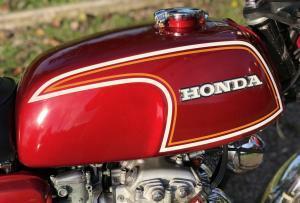 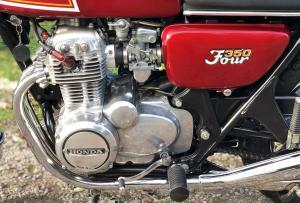 Honda CB350 Four 1973 . 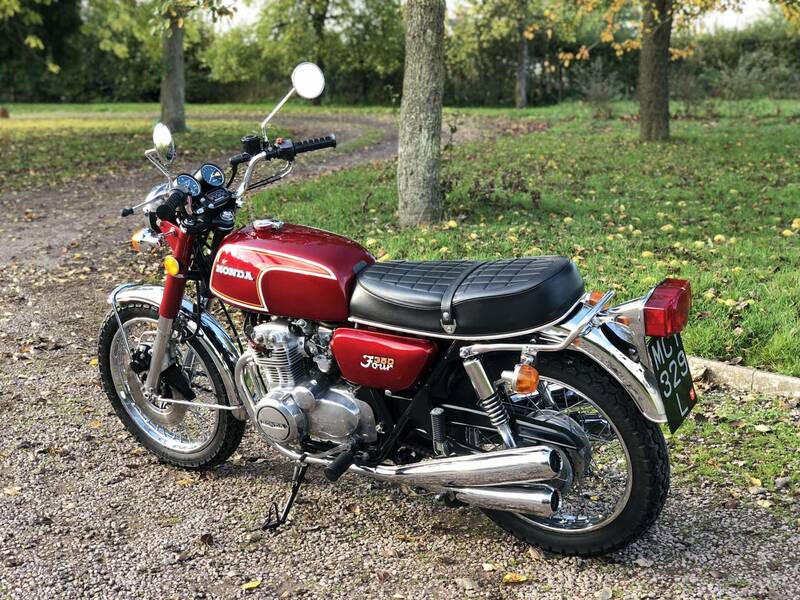 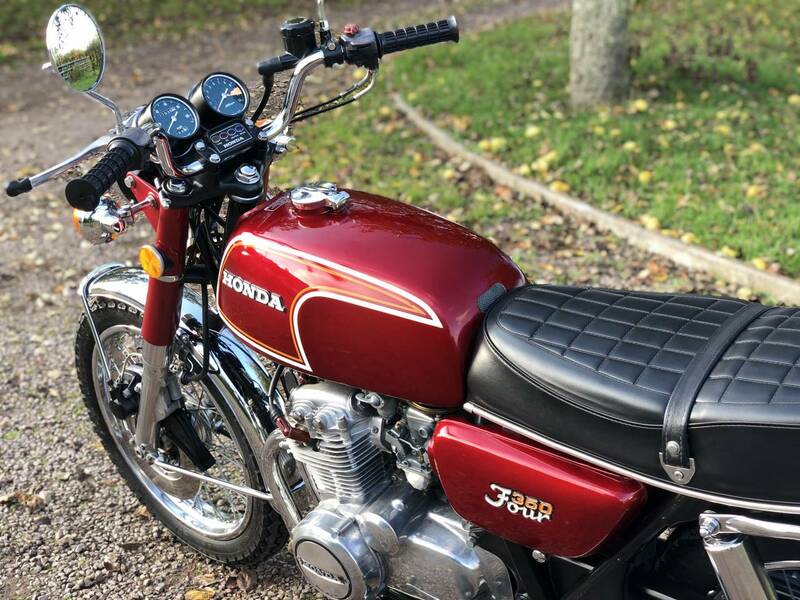 This Is A Beautiful Fully Restored Example , In A Lovely Original Colour Scheme , Which Starts On The Button And Has A Sowing Machine Quiet Engine , Which Revs Freely And Crisply And Rides Very Well Too. 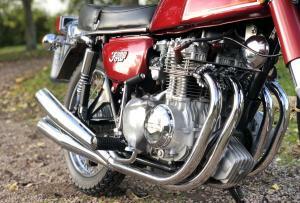 It’s Also Lightweight And Easy To Manoeuvre. 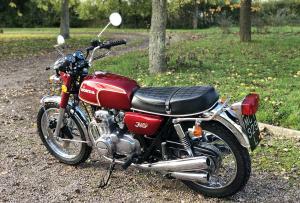 As Registered In 1973 Is Mot And Tax Exempt , With Cheap Classic Insurance. 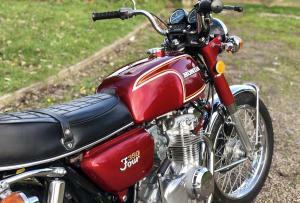 As Now A Sought After And Rare Model , Is A Good Investment And Fun To Ride. 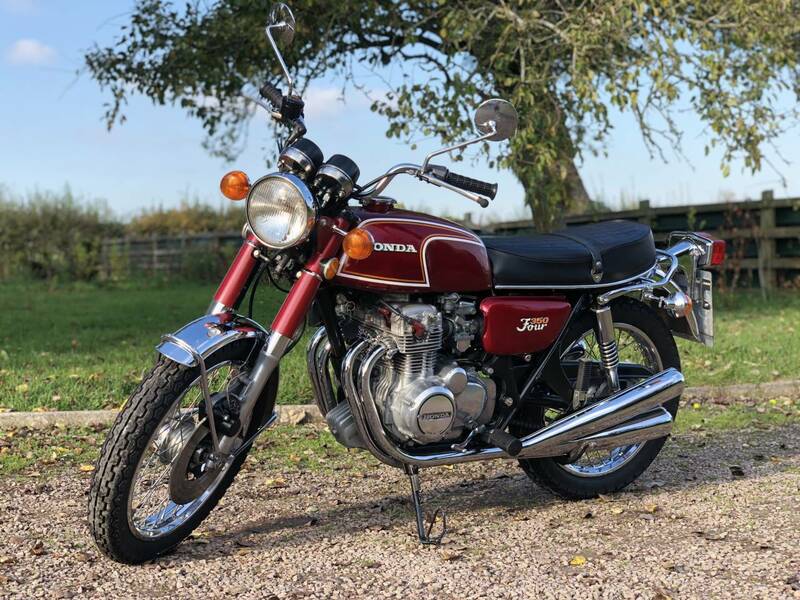 Probably The Best Available! 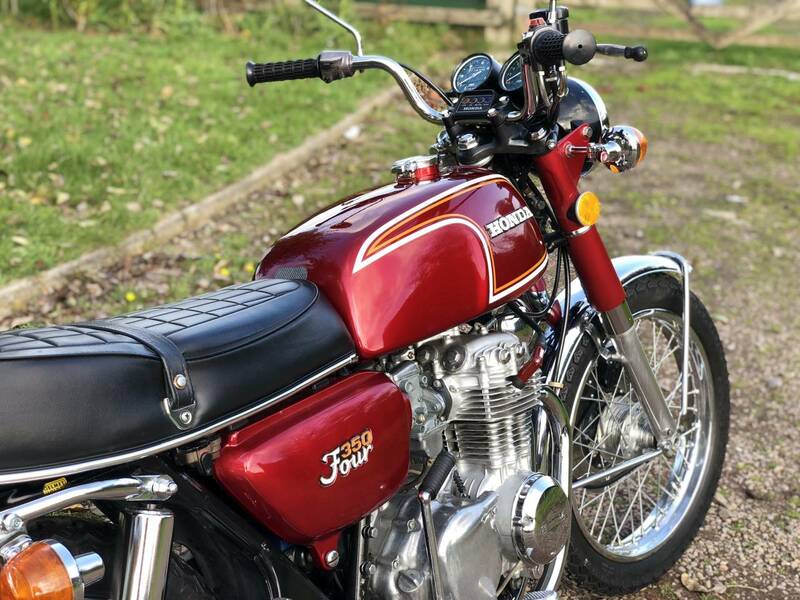 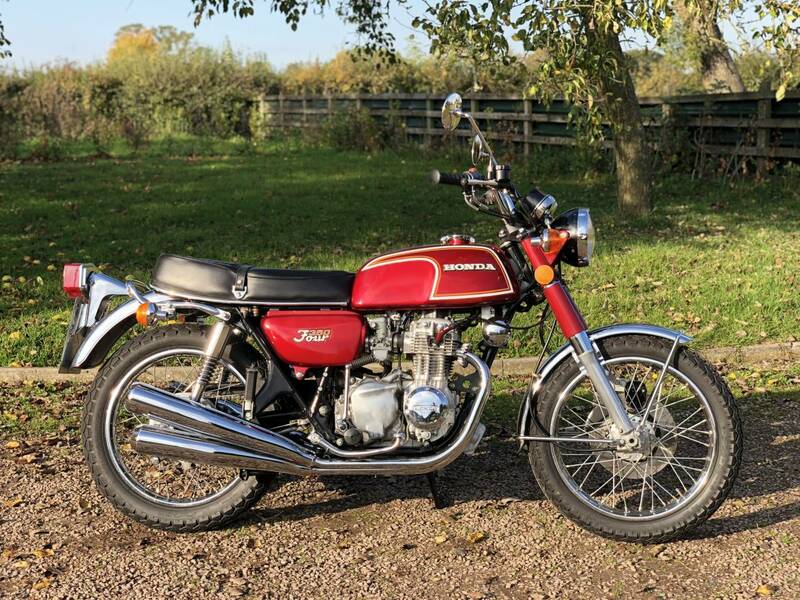 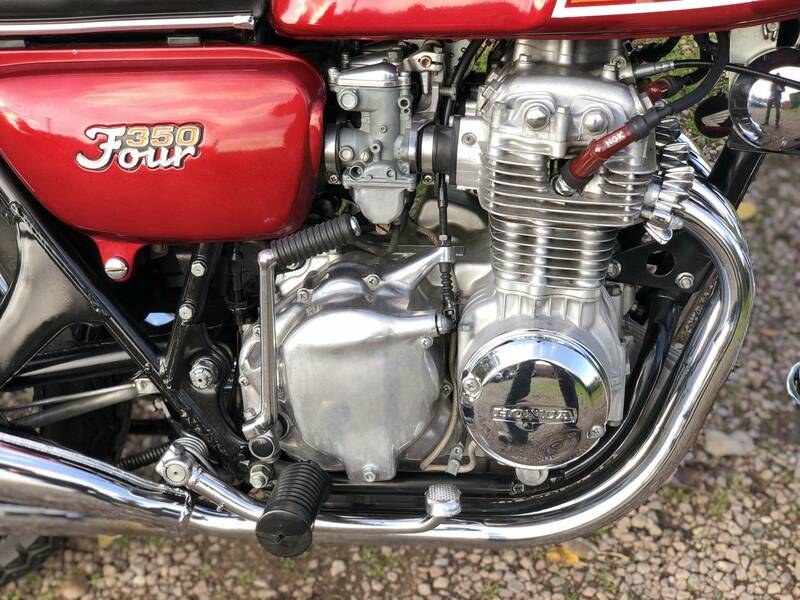 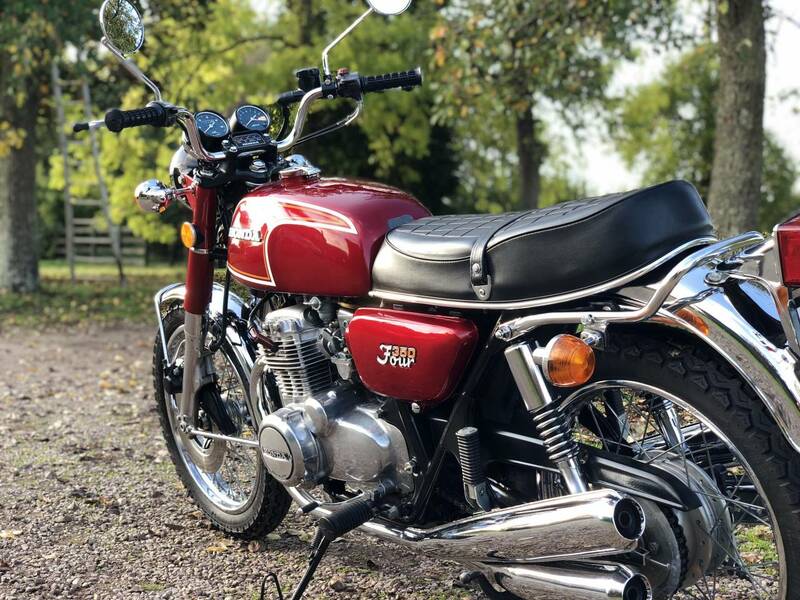 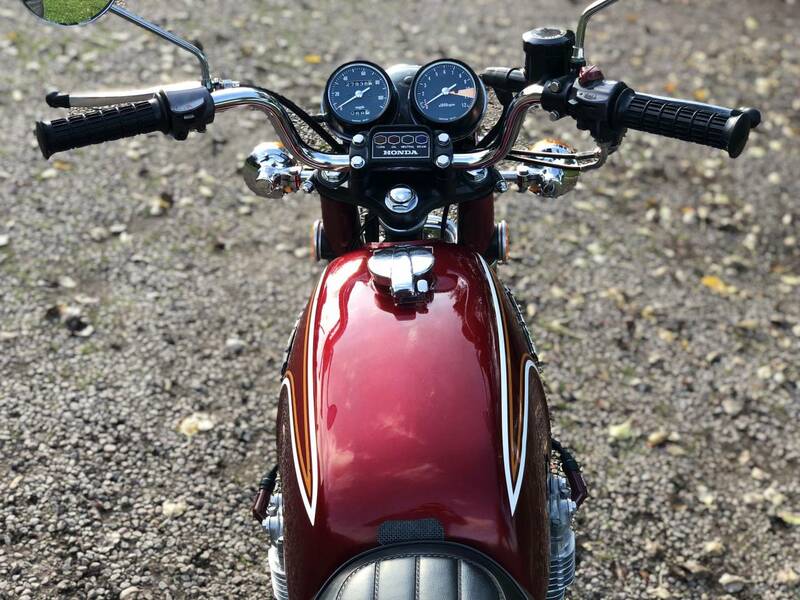 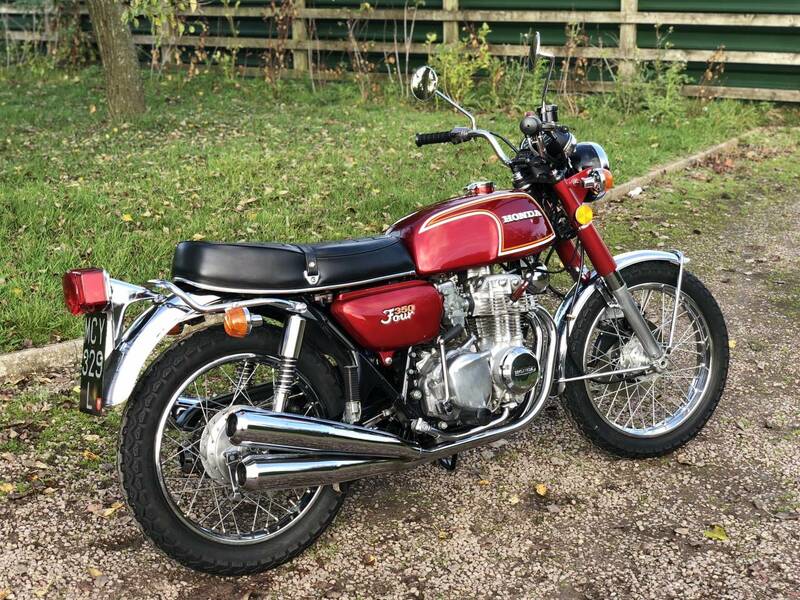 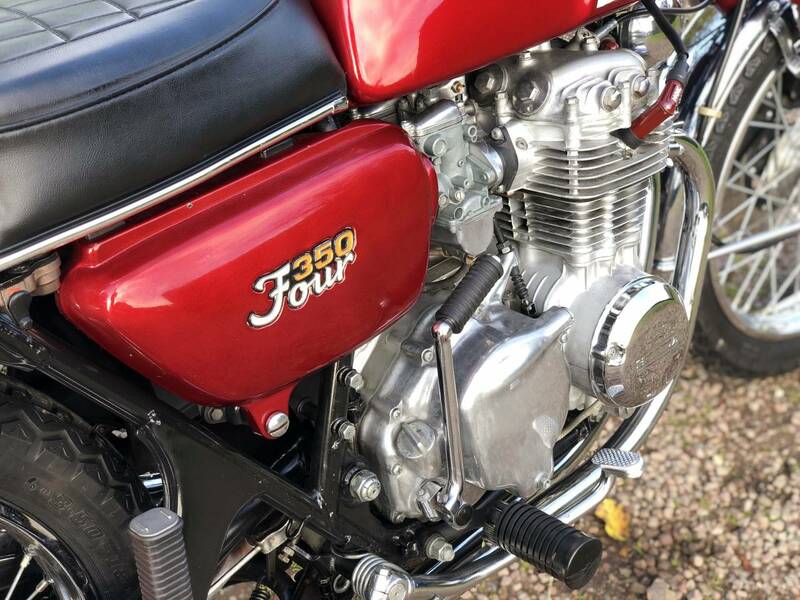 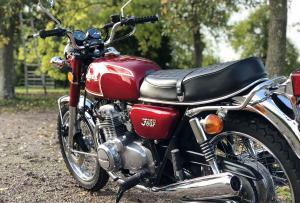 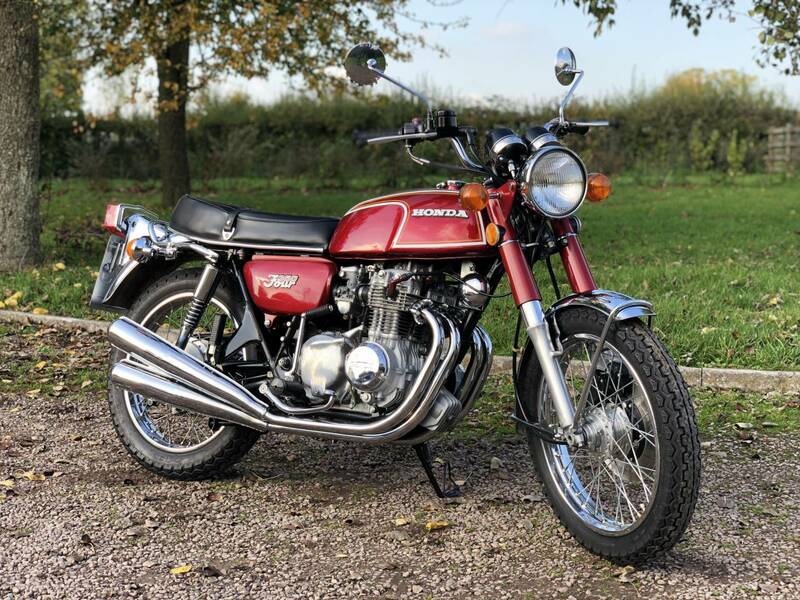 Bike was imported from Arizona in USA in 2015 mileage 26k all original new exhaust, tyres, chain & sprockets, cables, carbs overhauled, brakes overhauled, seat recovered, frame repainted all chrome excellent. 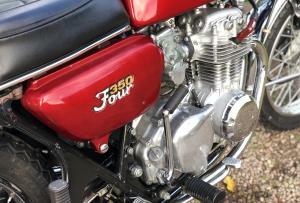 New swing arm bushes ,new coils & plugs. 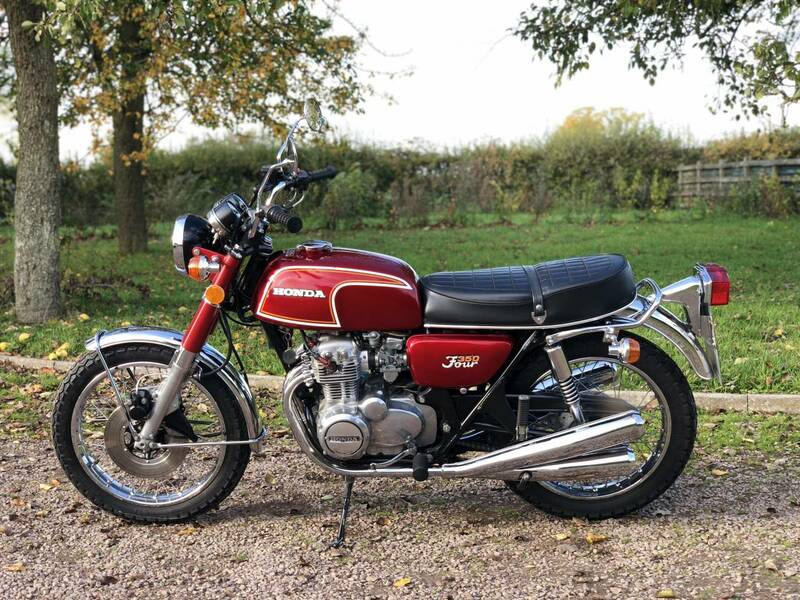 I have spent Â£2k with David Silver on parts for this bike it was a 2 winter retirement project bike starts and runs like a new bike.